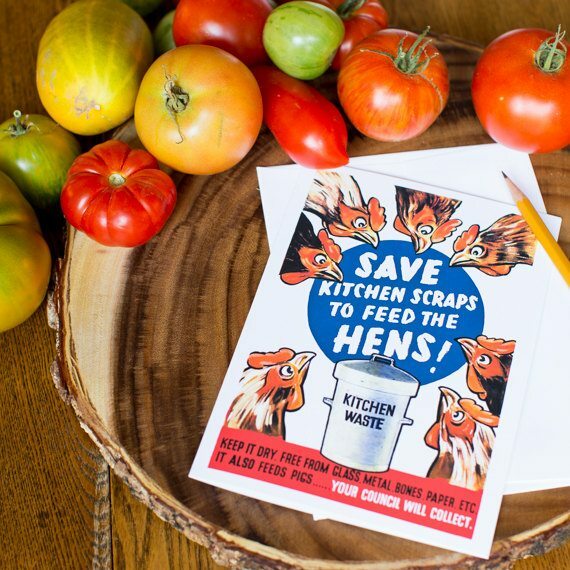 This Save Kitchen Scraps to Feed the Hens greeting card is printed on beautiful polar white matte 60lb paper, so it makes a beautiful card that can also be framed in a standard 5×7 frame. Cards come with envelopes, and packs of 10 or greater are sent in a card box with clear top. 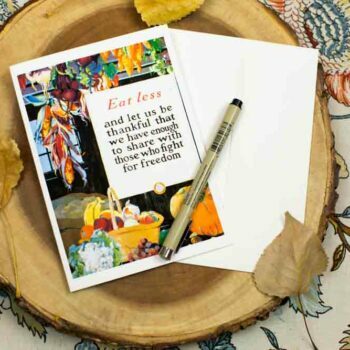 Mixed Pack of Greeting Cards – Perfect for Framing at 5×7!